The fan zone of the Egyptian national team invites fans to participate in the loudest football event of the summer of 2018. Watch World Cup matches a friendly team on a special site with a large screen - a real pleasure for any sports fan. Especially when the Russian team participates in the matches! The fan zone of Egypt, which is located on the territory of the Manezh Cadet Corps, opened on June 14. She will receive guests until June 27 every day from 13:00 to 22:00. Free admission. It is here that you can see all the matches of Group A, in which the relations will be clarified by the national teams of Russia, Egypt, Saudi Arabia and Uruguay. Matches involving Russian players will be held on June 14 - with Saudi Arabia, June 19 - with Egypt, June 25 - with Uruguay. Also here will show matches with the participation of teams from other countries. 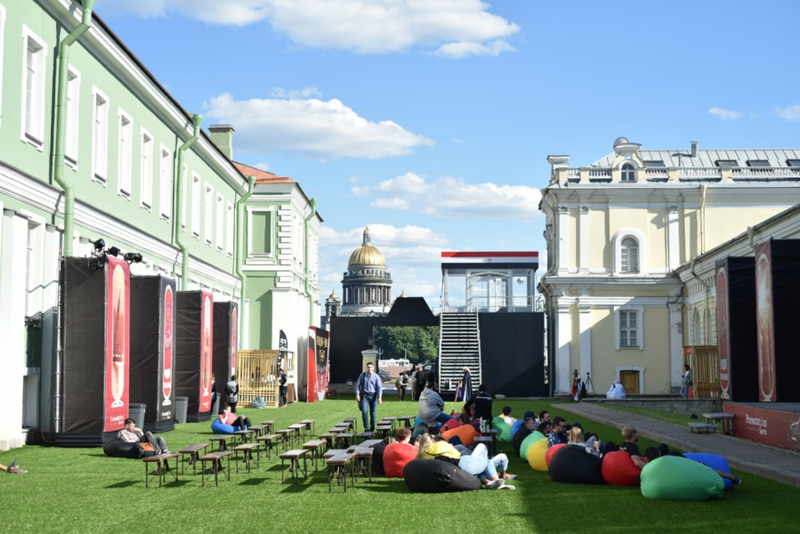 Fans of the fan zone will be able not only to enjoy sports spectacles of a global scale without advertising, but also have a snack with sandwiches, fight in a kicker, air hockey, snooker, play on consoles and jump on trampolines. The girls will be offered to decorate themselves with mehendi, and the young fans will make aquagrim.